​So there I was on board Queen Mary 2, Cunard’s flagship and largest ocean liner ever built, about to experience a west bound transatlantic crossing. This epic voyage of 3150 nautical miles from the Old World to the New is one of the world’s legendary journeys. What’s more, spanning time zones, the seven night journey means the chance to enjoy 25 hour days. This Cunard Queen is a class act. She is tall - 19 decks, as long as 41 double-decker buses and built with extra strength and power to withstand the rigours of the Atlantic in all weathers. 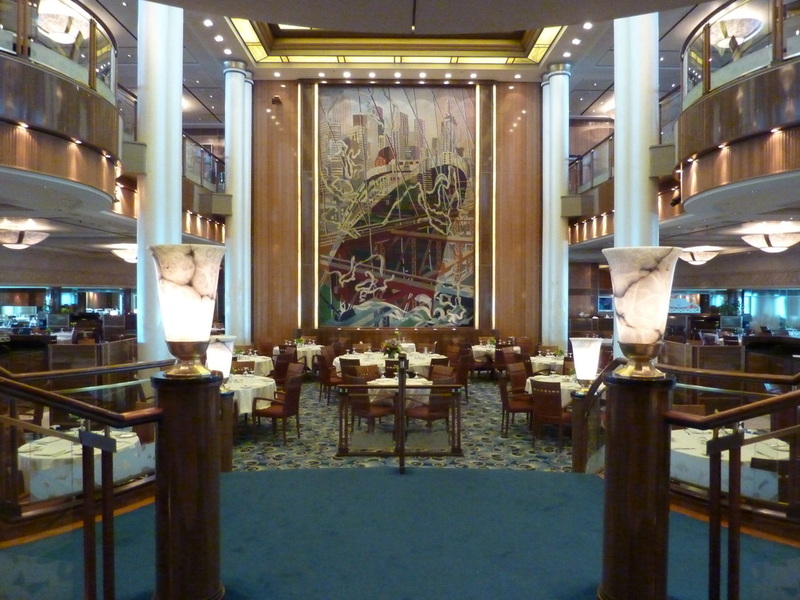 The ship's public areas are magnificent. Everywhere you turn there is a treat for the eyes from the Grand Lobby with its sweeping staircase to white gloved waiters, the glittering ballroom, chandeliers, elegant restaurants and deep, rich carpets. I discovered a welter of things to do on board, though of course, you’re not obliged to do anything. I joined a class to learn how to line dance, attempted early morning yoga and had a brief encounter with the gym. If I had been inclined I could also have had a go at croquet, paddle tennis or traditional bowls or tried my chances with Lady Luck in the casino. There are five swimming pools, most with Jacuzzis, a 9000 book library, jogging track (one lap is 1/3 of a mile) and the all-bells-and-whistles Canyon Ranch spa, with infused steam room, ice fountain, sensory showers and herbal sauna. 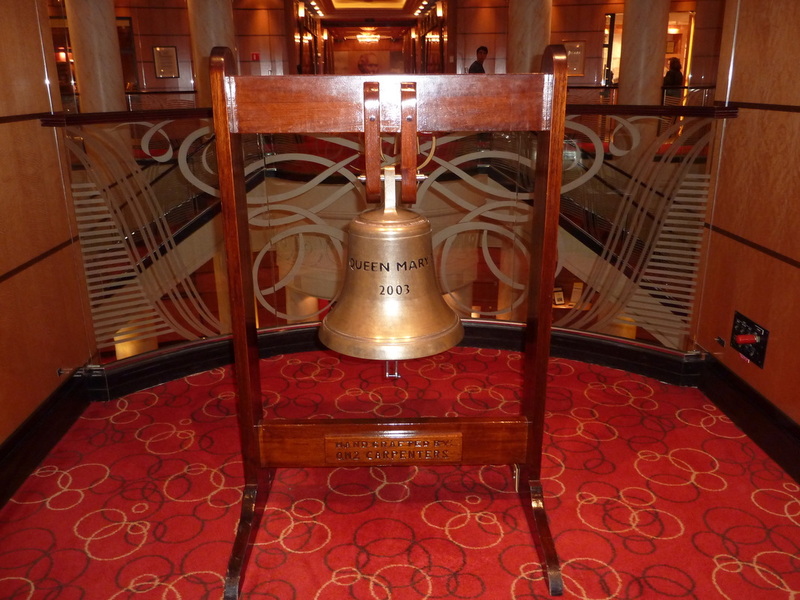 It’s a far cry from the early Cunarders where passengers played ‘tennequoits’ – ladies always kept their hats on – while impromptu boxing matches on deck between professionals crossing the ocean to defend their title provided the opportunity for a flutter. 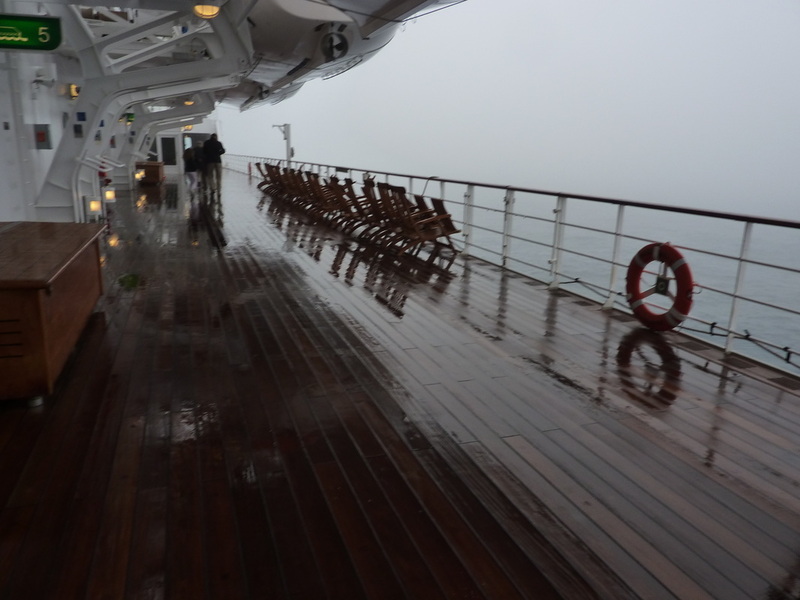 The QM2 is too ladylike to offer any daredevil-type activities like zip lining or rock wall climbing, but the rather gentler pace helped my stress levels plummet from their normally mountainous heights. In terms of theatrical entertainment there is everything from Shakespeare to Neil Simon with a diverse range of productions staged in the glamorous Royal Court Theatre. I saw an excellent production of the Canterbury Tales performed by RADA actors, while there were also jazz performances, glittering Showtime evenings, 3D films and bands in the nightclub from dusk till dawn. 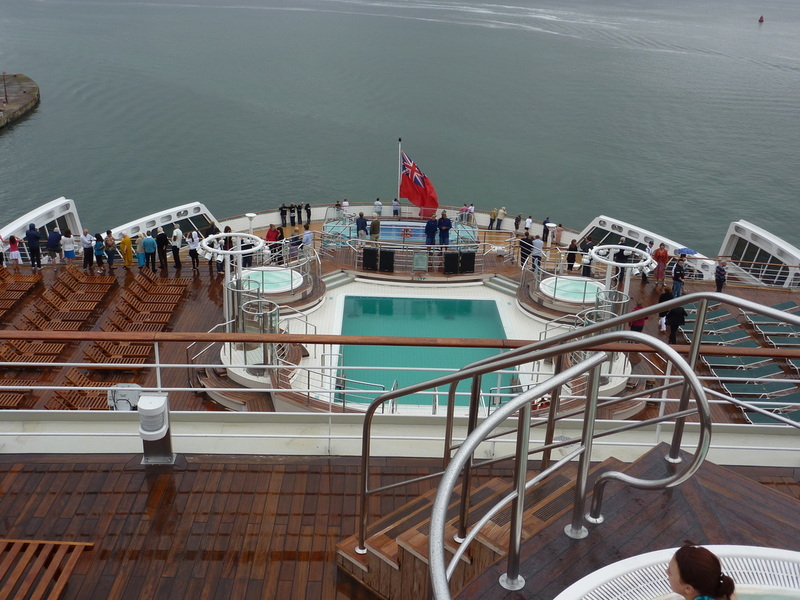 On my trip, passengers were a smorgasbord of nationalities representing 19 different countries, the bulk hailing from the UK. There were 350 kids on board, they love it - making new friends, going on scavenger hunts, discoing, hanging out in the teen zones, never a dull moment. Qualified nannies look after little children while youth co-ordinators are on hand to keep teens amused. Passengers can bring their pets too. Nine dogs and one cat were on board during my journey, having the time of their lives being spoiled rotten in the kennels area by Philippino kennelman Rex – surely an appropriate name for one with such a job. Pets get all sorts of treats including a frisbee, fleece blankets, choice of premium food and Healthy Gourmet Cookies, freshly baked every day and offered at bed times. 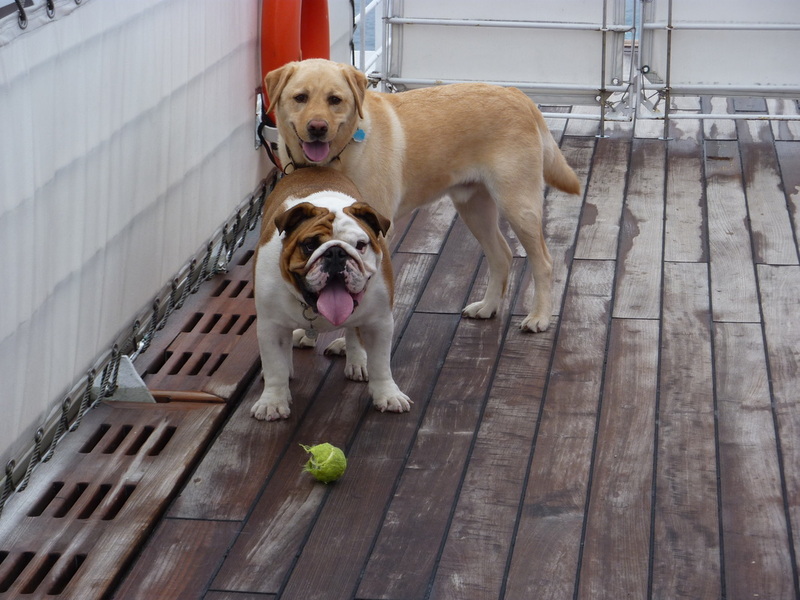 The ship carries animal life jackets too. Staff walk the animals regularly or guests can walk their pets themselves. One particularly posh canine, Bentley, a bulldog, was travelling with his personal secretary – yes, really! Cunarders have always carried animals on board. The most pampered passengers were the pet dogs of the famous: records say that Mrs Earl Hoover’s pedigree chow enjoyed lunch of raw eggs on the Aquitania in 1925. The Duke and Duchess of Windsor regularly travelled with their dog on the original Queen Mary. The Duke once remarked it was a shame there was no lamp post handy for the kennels. 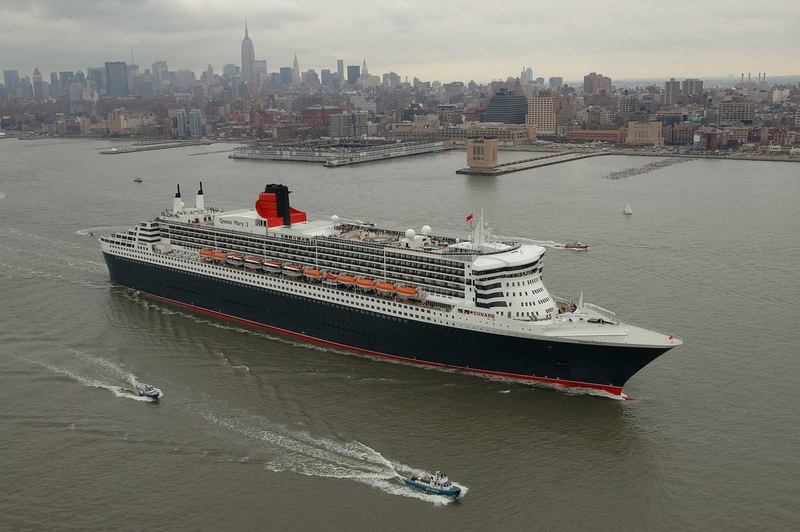 Cunard obeyed the royal command and subsequently also installed a lamppost on the QE2. 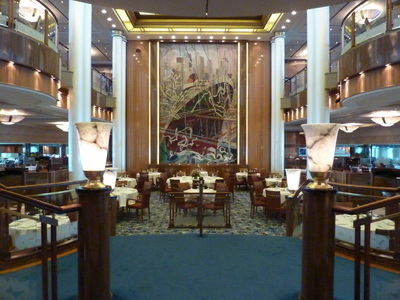 While menus on the original Queen Mary included offerings of salt beef and boiled potatoes, suffice to say today’s menus offer a wider, much more appetising selection of delights including sturgeon caviar on buckwheat blinis; prosciutto and basil wrapped scallop with tomato risotto; or cheddar cheese crusted Gloucester Old Spot rack of pork. There is a wealth of places to dine in and for those who prefer less posh fare, the Golden Lion pub offers pie and mash, hotpot and jolly popular twice daily pub quizzes. But all too soon, we were a whisper away from New York City. After days of scything through the changing moods of the often five mile deep ocean, the glowing torch of the Statue of Liberty bade us welcome in New York’s first light of dawn. Cunard’s legendary elegance had woven her seductive spell and such things can turn a girl’s head. I’ll be back.